The bar that used to be in The Rat is now serving a whole new crowd at Enzo, the wine bar attached to OTTO Pizza in Portland, Maine's Arts District. A lot of the folks who come to Enzo, the wine bar attached to OTTO Pizza in Portland, Maine’s Congress Street Arts District, say the place feels like it’s been there forever, and indeed it does. Everything in the place, from the table and chairs on the floor to the lighting above, was chosen to help create to a comfortable sense of familiarity that feels as if it could only have come from decades of customers enjoying a glass of wine or an ice-cold pint with a slice of their favorite OTTO pizza. And the centerpiece of it all is the bar, a majestic and beautifully carved piece of craftsmanship in mahogany that exudes a sense of history, of times gone by and historic eras – and that’s not far from the truth, because this bar was once upon a time at the heart of one of rock’s legendary outposts: The Rat, located in Boston’s Kenmore Square. The Rat, in Boston's Kenmore Square, back in The Day. 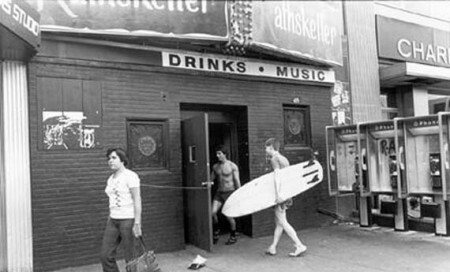 The Rat (short for The Rathskeller) was perhaps Boston’s premier venue for live music, and pretty much everybody who was anybody – and anybody who wanted to be somebody – played there before the place was torn down in 1997 to make way for a luxury hotel in a kinder, gentler Kenmore Square. It featured a restaurant upstairs and a filthy little dive bar downstairs that became home to the city’s burgeoning punk rock scene back in the late ‘70s. 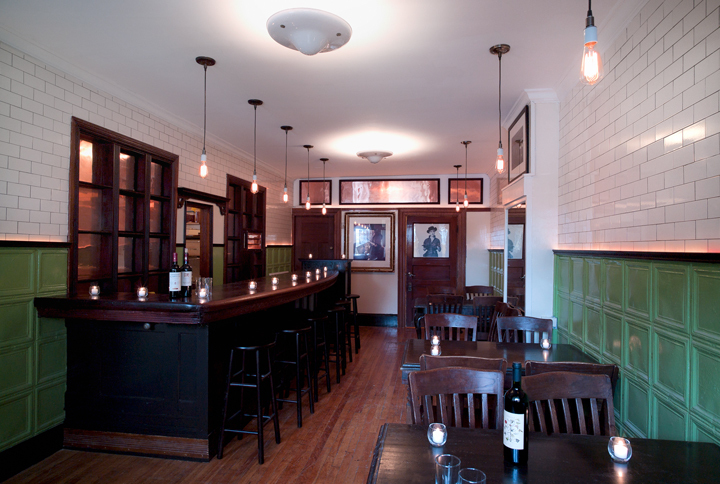 OTTO co-owner Mike Keon and his friend, Robert Ruderman, bought the bar, which was in several pieces, when they discovered it in an architectural salvage shop in Boston called Restoration Resources. Ultimately, Ruderman took home two sections of the bar, while Mike took possession of the remaining three – one of which is now in Enzo. The other two Mike has in storage, waiting for the day when he can find a suitable home for them. So the next time you’re in Enzo, just think: you could be having a beer in the exact spot where, years ago, Bono or Joe Strummer or Sting or Michael Stipe were doing the very same thing, right before they went on stage.